Dr. Jessie Copeland is a respected neurosurgeon who spends her days waging life-and-death battles in the OR and her spare time holed up in a lab, spearheading the development of a robot that could revolutionize brain surgery. ARTIE - Assisted Robotic Tissue Incision and Extraction - is a fusion of biomechanics and radiology that will be able to excise tumors now considered inoperable. But it could be months before ARTIE is ready for use on human beings...or so Jesse thinks, until her ambitious department head jumps the gun and uses the robot in a high-profile case that nets immediate worldwide attention. Claude Malloche is brilliant, secretive, remorseless, and without regard for human life - a mercenary willing to bring down a world leader or a jetliner filled with people if the price is right. He is also ill with a brain tumor that is exactly the sort ARTIE was invented to treat. For those caught on the neurosurgical floor, the nightmare has just begun...and no one is more aware of it than Jessie Copeland. In brain surgery there are no guarantees. But that's exactly what Claude Malloche demands, leaving Jessie to face the most harrowing case of her life. Disaster is just a cut away. And the price of failure may be thousands of lives. 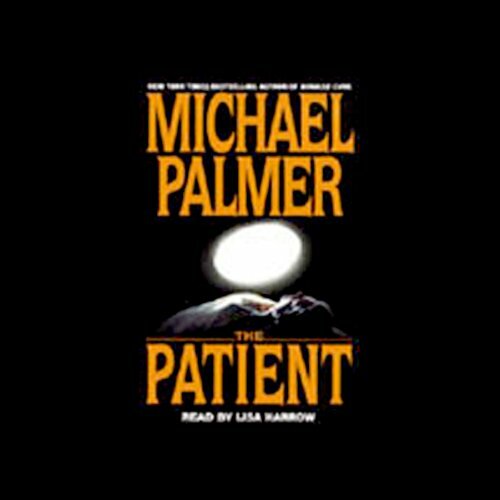 ©2000 Michael Palmer (P)2000 Random House, Inc. The story is interesting, but Lisa Harrow's reading of the book detracts from my enjoyment of the book. She has an accent that gets in the way. I say, buy the book, don't listen to it. It took a long time to get into this book because the narrator was difficult to understand. I listen while driving in car and had to put volume up extra loud to hear her well enough to understand part of the story. Will not purchase another book with this narrator..